WSOP Circuit Thunder Valley Won by Thomas Kornechuk! HomeOnline Poker NewsWSOP Circuit Thunder Valley Won by Thomas Kornechuk! 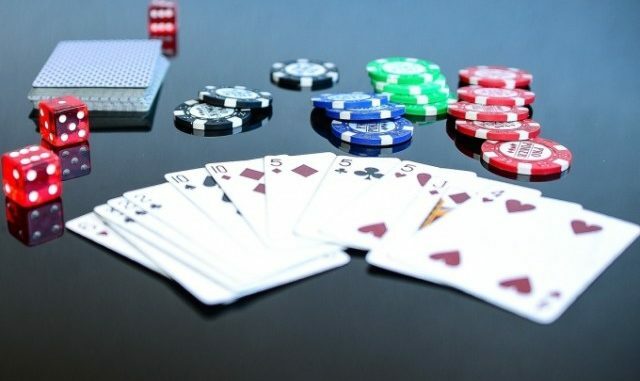 The winner of 2019 World Series of Poker Circuit Thunder Valley is Thomas Kornechuk, a 57-year-old poker player and a professional software engineer. The event ended on Monday and saw a total 608 entries who managed to generate a prize pool which was $921,920. The buy-in for the No-Limit Hold’em Main Event was $1,700. Thomas Kornechuk was dominant during most of the tournament and managed to seize the first prize which was rewarded by a gold ring and $193,439. Furthermore, Kornechuk was granted a seat at the 2019 Global Casino Championship. His opponent in the heads-up play was Brett Murray, who was aiming at winning back-to-back titles but failed to do so as Kornechuk sent him to the rail and won the event. What does Kornechuk Say About His Victory? Kornechuk definitely deserved this victory as he had put a lot of work in learning to play poker and upgrading his poker skills. Although he has been playing poker for a long time, he started taking it seriously only recently and hired a couple of coaches to help him improve in this card game. He said that he had been following a couple of different coaches and studied many possible scenarios with their help. Furthermore, Kornechuk added that he had been reading a lot of books not only about poker but also about mental preparedness in this game and claimed that it was very helpful for him. When he won the game, Kornechuk commented on his play, saying that he tried to be as conservative as possible and apply pressure when there was room to do so. In short, whenever he had an opportunity, he attacked, and that seems to have paid off for him. The heads up play was pretty interesting as Brett Murray wanted to win a back-to-back title, but failed to do so as Kornechuk beat him in the last part of the tournament. The last hand was pretty interesting as Murray went all in on a four and a three, although he was pretty short-stacked. His pocket cards were worse than those of Kornechuk who had a seven and a four. They let all the cards on the board turn their face up where Kornechuk managed to pair up both of his cards, while Murray just had a pair of fours. This meant that it was time for him to go home and take his consolation prize which was $151,145 — still not that bad! Other players who made it to the final table are Jeremy Joseph, Yifu He, Tony Bracy, Chris Tham, Ryan Jaconetti, Paul Richardson, Paul Camby, and Paul Chai. WSOPC side events were also very interesting with the second highest prize coming from the first event in the tournament called $400 NLH Opener where Ryan Grant managed to beat the field of 1,522 and win $86,644. WSOP International Circuit Marrakech Main Event – Sonny Franco Wins! Bill Elder Wins WSOP Event 45 from the Short Stack! 2008 WSOP Event #1 Results: Is There A “Medic” In The House? !